Recently a friend commented on a story from my collection. She told me how much she despised one of the characters (an attractive, unscrupulous woman), and then she proposed alternate outcomes for her. Had I considered doing this with her instead of that? Was I going to write another story about her? Maybe next time she could be overweight, deep in debt—in trouble with the feds! In other words: What Happens Next? Rousing this degree of interest is of course a good thing, indicating that I did my job as a writer. Still, I wish she had said something about the style of the story. Was it a smooth read? Did she have any favorite passages or images? Had I chosen the best point of view? Did she notice the alliteration? Was the dialogue convincing? Was the setting real? As I writer I notice all these things when I read. I can tell right away if an author has labored hard, or if he has taken short cuts. If the sentences aren’t clean, if the images aren’t striking, if the writing does not make me pause, think and admire, I probably won’t be finishing the book. Life is short. I want to read the sort of stories that make me wish I had written them, like the carefully crafted work of Alice Munro. Readers are travelers; books are vehicles. Unless they are writers themselves, most readers don’t seem to care much about how the vehicle works, the machinery behind the journey. Imperfections, even outright errors, are forgiven, if they are noticed at all, so long as pace is maintained. While they may enjoy the passing scenery, what readers want most is to get where they’re going. If the destination pleases them, they will want to go back, hang out with the same characters, see what new trouble they can get into, learn what happens next. The Da Vinci Code. Harry Potter. The Girl with the Dragon Tattoo. Fifty Shades of Grey. These are wildly popular rides, and I respect the authors. A gift to the masses is no small thing. Blockbusters like these are what makes the latest literary news such a nice surprise. It was Alice Munro who just received the Nobel Prize, and not for crowd-pleasing novels, but for her unstinting effort in the improbable short story genre. Cheers to you, Alice, for giving the world your very best again and again, for writing against the grain and from the heart. That’s showing them. 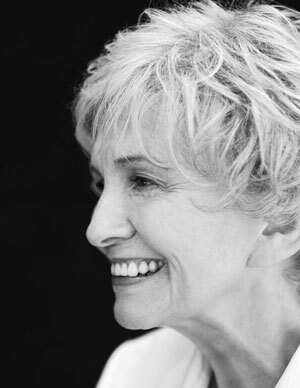 I’m also thrilled by the Nobel prize win for Alice Munro. I can totally relate to reading her and feeling like I wish I’d written her words. I think that is why so many writers list her as a favorite. Thank you for commenting, Alison. One of the things that makes Alice Munro even more admirable is her modesty. Yes, I’ve been a fan for years.